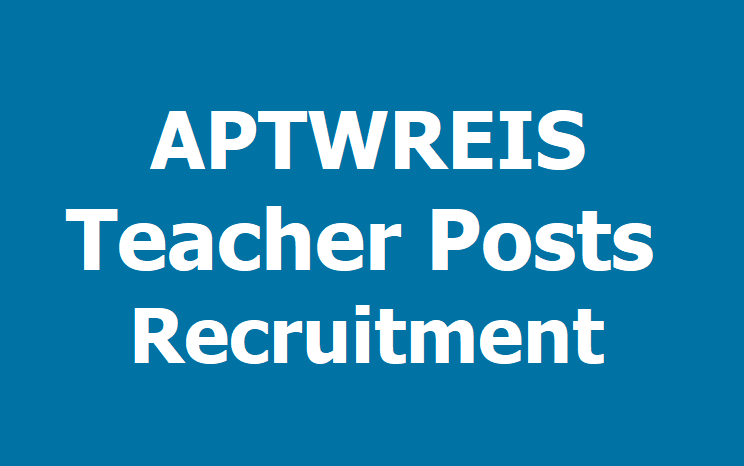 aptwgurukulam.ap.gov.in /APTWREIS Gurukulam Teacher Posts Recruitment, APTWREIS Gurukulam Teachers (Principal, JL, PGT, TGT, PET posts) Recruitment 2019, APTWREIS Gurukulam Teacher posts i.e., Principal, JL, PGT, TGT, PET posts Recruitment 2019, PGTs, TGTs, PETs, PDs, JLs in AP gurukulams: Gurukulam, APTW Residential Educational Institutions Society has given the APTWREIS Gurukulam Teachers (Principal, JL, PGT, TGT, PET posts) Recruitment 2019 and APTWREIS Society invites applications from the experienced, eligible and interested Candidates for filling up the above said posts on outsourcing basis in the following Institutions of Excellence functioning in AP Tribal Welfare Gurukulams. So, Applications are invited from the experienced, eligible and interested Candidates having a good Academic record in Degree and B.Ed with (2) years Teaching experience to teach 3rd to 5th standards on outsourcing basis in the Institutions of Gurukulam. The Medium of instruction is English. Candidates studied in English medium at Degree level are preferred and preference will be given to the candidates who are having teaching experience (experience certificates have to be submitted along with application form). and applications are invited for the post of J.Ls on outsourcing from the experienced, eligible and interested Candidates having a good Academic record in Degree and P.G. With (3) years Teaching experience in Teaching IIT- JEE (Mains & Advanced, NIT and EAMCET along with IPE and application are invited from the PGTs having a good Academic record in Degree and P.G. with (3) years experience in Teaching IIT Foundation classes along with 8th to 10th syllabus to teach for ST students on outsourcing basis in the Institutions of Excellence functioning under Gurukulam. The Medium of instruction is English. Please see Annexure for vacancy position in this website. The above posts are purely temporary and selected candidates have to work with commitment and dedication for the development of students. Medium and their academic performance will be reviewed based on the standards of the concerned ward. Remuneration for PGTs & JLs Commensurate with experience, performance in Interview, and Demo and negotiable. Deserved candidates will be paid suitable remuneration. 2. PGTs having good Academic record in Degree and P.G. with (5) years experience in Teaching IIT Foundation classes along with 8th to 10th syllabus to teach for ST students on outsourcing basis in the following Institutions of Excellence functioning in Gurukulam. 3. Candidates without experience need not apply. 4. The above posts are purely temporary and selected candidates have to work with commitment on Out Sourcing basis for the development of ST students. 1. The schools of Excellence (SOEs) and Colleges of Excellence (COEs) have been started in the year 2005-06 to provide quality education to the ST Students and to prepare them to compete successfully in Competitive Examinations like JEE Mains, JEE Advanced, and EAMCET etc. 2. The Candidates considered for JLs in SOEs and COEs must have the capacity to handle JEE Mains, JEE Advanced, and EAMCET classes in English Medium. 3. The PGTs considered for Schools of Excellence (SOEs) have to teach IIT foundation Classes along with 8th to 10th syllabus. Selected JLs/Teachers have to stay in the campus. The 50 Residential Schools were established in the (08) districts of Andhra Pradesh (Krishna, Guntur, Praksam, Nellore, Kadapa, Kurnool, Chittoor and Ananthapur) with an aim to provide quality education to the Students. Watch below website from 2nd July to 5th July for mode of selection. www.aptwgurukulam.gov.in. Candidates have to bring the Print out of the application with the attestation on the photograph for attending the test/demo. Selection procedure for PGTs & JLs: A Screening Test, will be conducted for 75 marks and demo & Interview for 25 marks DEMO & Inter view Date will be intimated to the Qualified candidates in the written test through email/phone. Candidates have to bring the Print out of the application with the attestation on the photograph for attending the test/ interview. The format of application is available in this website. Filled Application should be sent through email to dsacadgklmrecruit@gmail.com.